55 Years Ago Today Elvis Hit No. 1 With Are You Lonesome Tonight? It was today in 1960 that Elvis Presley hit no. 1 on the Billboard Hot 100 with "Are You Lonesome Tonight?". What is interesting is that the song not only pre-dates Elvis's career, that it not only pre-dates the Rock 'n' Roll Era, but it even pre-dates Elvis himself. "Are You Lonesome Tonight?" was written by Roy Turk and Lou Handman in 1926, while Elvis would not be born until 1935. The song was first recorded by Charles Hart in 1927. It was recoded several more times in 1927 alone. In 1950 it was recorded by the Blue Barron Orchestra. This version actually went to no. 19 on the Billboard Pop Singles chart. 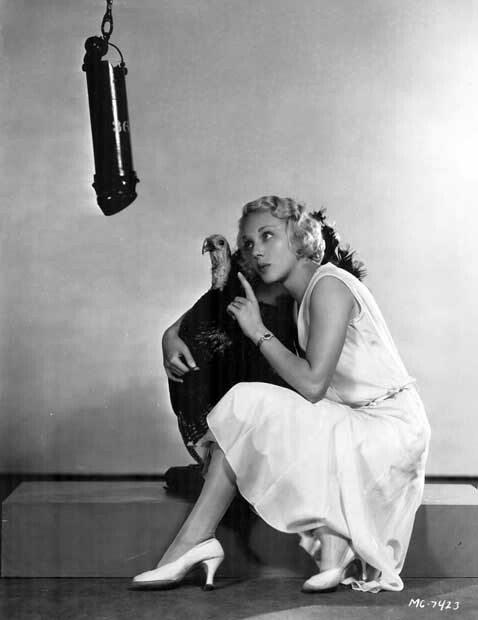 Further versions were recorded by Al Jolson and Jaye P. Morgan. The famous spoken bridge in "Are You Lonesome Tonight" is based on the line, "You know someone said that the world's a stage. And each must play a part," from Ruggero Leoncavallo's opera Pagliacci. Of course, Ruggero Leoncavallo based that line on the one from As You Like It by William Shakespeare, "All the world's a stage, And all the men and women merely players." The spoken bridge has been omitted from some versions of the song. Elvis Presley recorded his version on April 4 1960, complete with the bridge. It was released on November 1 1960 and hit the top of the charts in a mere four weeks. It stayed in the no. 1 spot until January 9 1961 when it was knocked off by "Wonderland by Night" by Bert Kaempfert. The song remained part of Elvis's live performances until his untimely death. He performed it on the 1968 NBC special Elvis (better known informally as "the Elvis Presley Comeback Special") and the 1977 CBS special Elvis in Concert. It seems likely that the song is now identified with Elvis Presley more than any other singer. If you're like me the days between Thanksgiving and December 1 are a bit awkward when it comes to watching certain movies. On the one hand it is a bit too late for movies devoted to Thanksgiving (not that there are many of them). It just doesn't feel right watching Plymouth Adventure (1952) or Planes, Trains, and Automobiles (1987) three days after Thanksgiving has passed. On the other hand, it is a bit too early for out-and-out Christmas movies. Watching Christmas in Connecticut (1945) or A Christmas Story (1983) would just seem odd when it is still November. The solution to this dilemma is simple. One watches movies that span the time between Thanksgiving and Christmas. I could probably think of more if I put my mind to it, but here are five films suitable for viewing in the last days of November. Of course, since all of them are great films, I would say that they are suitable for viewing any time of year. 1. The Apartment (1960): I'm not sure when The Apartment actually begins, but I get the feeling it is either shortly before Thanksgiving or even the week of Thanksgiving. At any rate, it is already cold in New York City, making it November at the earliest. As to when it ends, well, given the film's iconic status I don't think I am giving anything away when I say it ends with New Year's. 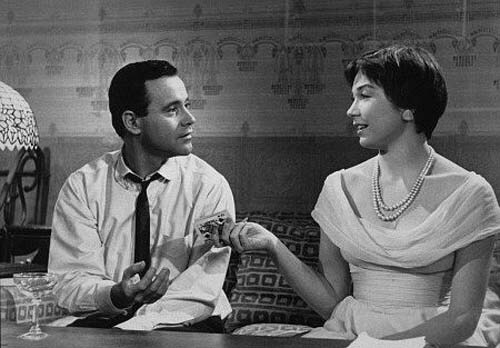 The Apartment is my favourite Billy Wilder movie of all time, my second favourite movie of all time, and my favourite holiday movie of all time. It is nearly perfect, with great performances from Jack Lemmon, Shirley MacLaine, and Fred MacMurray. It also has a little bit of everything for everyone--comedy, romance, social commentary... It's as nearly perfect as a film can get, in my humble opinion. 2. Holiday Inn (1942): Although it is often thought of as a Yuletide movie, Holiday Inn actually spans a whole year and covers very nearly every holiday celebrated in the United States (except Halloween, which I wish they had). This actually makes it suitable viewing for nearly any time of year. 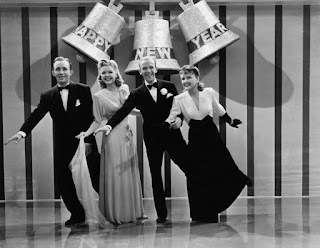 Holiday Inn features some of Fred Astaire's best dance routines (his "drunk" dance and firecracker dance have to be seen to believed) and some of Irving Berlin's best songs (including the all time best selling single "White Christmas"). I do have to warn you that you might want to skip the "Abraham" sequence for Abraham Lincoln's Birthday, which includes blackface that most would find offensive today. 3. Love Actually (2003): Love Actually, well, actually features a countdown to Christmas, beginning five weeks before the holiday. In other words, it begins the last week of November, around about the time we Americans would be celebrating Thanksgiving. Love Actually has been called a romantic comedy, but it really has only a little to do with the genre. It is probably better termed a Robert Altmanesque collection of ten interrelated stories examining love in all its forms: romantic love, the love between siblings, friendship, paternal love, and so on. In fact, in my humble opinion the best story is one in which washed-up rock star Billy Mack (played by Bill Nighy) tries to get the coveted Christmas no. 1 song with a holiday themed cover of The Troggs' "Love is All Around"--"Christmas is All Around". Love Actually is very funny and often touching as well. 4. 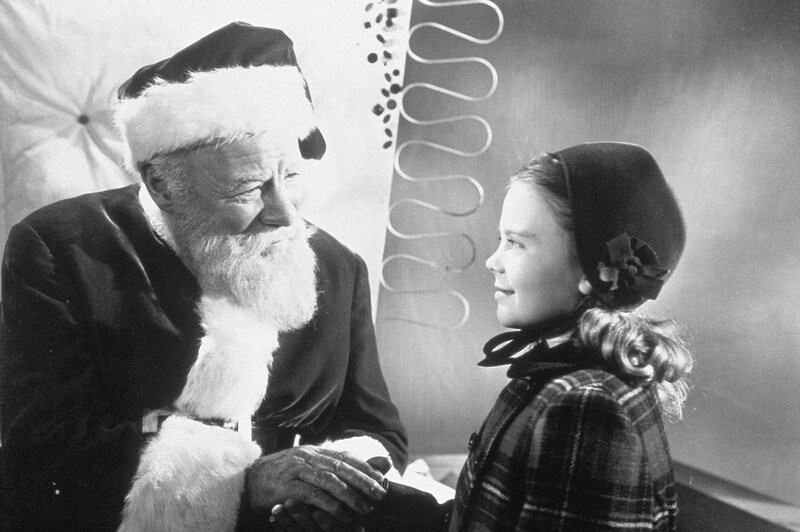 Miracle on 34th Street (1947): It might seem odd to include Miracle on 34th Street given it is considered one of the Christmas movies. That having been said, it begins on Thanksgiving Day and at the Macy's Thanksgiving Day Parade at that. It then runs from Thanksgiving to the big day itself. Indeed, as bizarre as it sounds, it was released on May 2 1947! I really haven't a lot to say about Miracle on 34th Street that hasn't been said before. It is considered one of the greatest holiday movies of all time and is still shown frequently on television. I will say this. Avoid the remakes at all costs. Not only are they not nearly as good as the original, they simply aren't very good at all (and that is putting it lightly). 5. 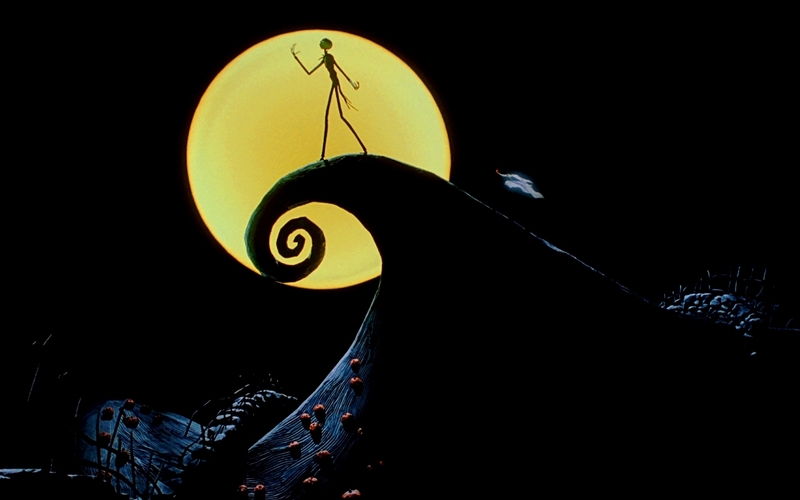 The Nightmare Before Christmas (1993): The Nightmare Before Christmas is perhaps the only film (or at least one of the very few) that is simultaneously a Halloween movie and a Christmas movie. This actually makes it perfect for viewing any time, from Halloween until Christmas. Not surprisingly, it went into wide release on October 29 1993. The Nightmare Before Christmas is one of the funniest holiday movies one can ever see--well, one of the funniest Halloween movies one can ever see as well. It has some great stop motion animation, as well as some remarkable voice acting from Chris Sarandon, Catherine O'Hara, and William Hickey. It is Thanksgiving Day here in the United States. As I usually do on holidays, then, I will leave you with some classic pinups. Lelia Hyams would rather cuddle her turkey than eat him! 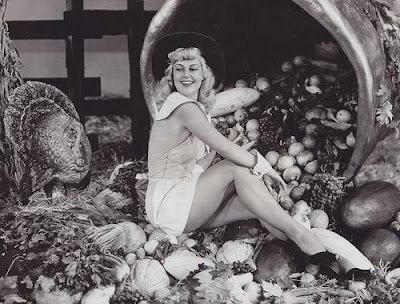 Joan Shawlee has an entire cornucopia for her Thanksgiving feast! 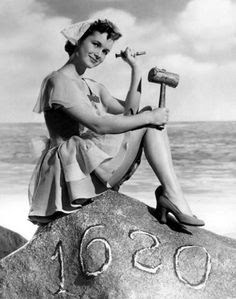 Debbie Reynolds just finished carving on Plymouth Rock! 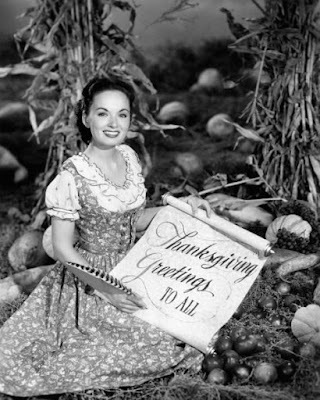 The lovely Ann Blyth is wishing everyone a Happy Thanksgiving! 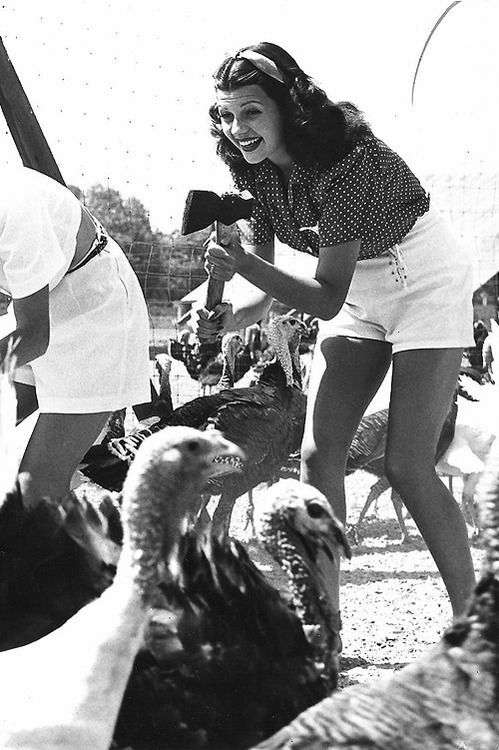 And what could be better than Thanksgiving dinner served by Ann Miller! David Canary, who played Candy Canaday on Bonanza and also appeared on the soap operas Peyton Place and All My Children, died November 16 2015 at the age of 77. David Canary was born on August 25 1938 in Elwood, Indiana. He attended the University of Cincinnati on a football scholarship and majored in music. It was while he was at the University of Cincinnati that he developed an interest in acting. The Denver Broncos tried to recruit him for a career in professional American football, but David Canary turned them down to move to New York City to pursue a career in acting instead. He served two years in the United States Army before resuming his acting career. David Canary made his debut on Broadway in The Happiest Girl in the World in 1961. He appeared on Broadway in the production Great Day in the Morning in 1962. In 1965 he made his television debut in a regular role on the night-time soap opera Peyton Place. In 1967 Mr. Canary was cast in the role of Candy Canaday, the Cartwrights' ranch foreman, on the classic TV Western Bonanza. He remained in the role for three years before leaving due to a contract dispute. He returned to the show for its final season. 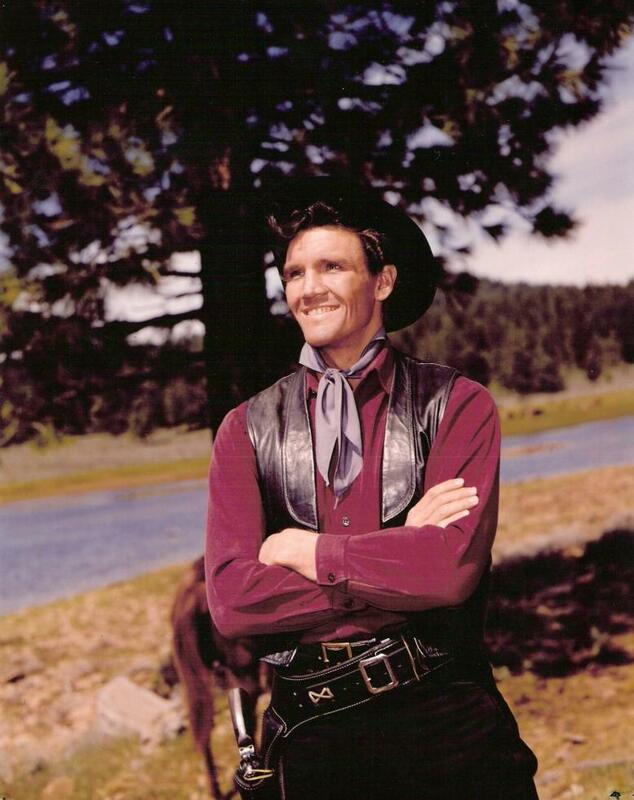 In the Sixties David Canary also guest starred on Gunsmoke, Dundee and the Culhane, and Cimarron Strip. He made his film debut in Hombre in 1967. In the Sixties he appeared in the films The St. Valentine's Day Massacre (1967) and The Computer Wore Tennis Shoes (1969). In the Seventies David Canary had a recurring role in the soap opera Search for Tomorrow. He guest starred on the shows The F.B.I., Hawaii Five-O, Bearcats!, Alias Smith and Jones, Police Story, Kung Fu, and S.W.A.T. He appeared in the mini-series The Dain Curse. He appeared in the films Sharks' Treasure (1975), Posse (1975), and Johnny Firecloud (1975) .He appeared on Broadway in Clothes for a Summer Hotel. In 1984 David Canary joined the cast of the soap opera All My Children, where he remained for nearly thirty years. In the Eighties he also appeared on the soap opera Another World. He appeared in an edition of American Playhouse on PBS, as well as in the feature film In a Pig's Eye (1990). In the Nineties he guest starred on Remember WENN and Law & Order. He appeared in the feature film Secret Santa. In the Naughts David Canary guest starred on the soap opera One Life to Life, as well as the primetime semi-anthology Touched by An Angel. In the teens he guest starred on Curb Your Enthusiasm. During his career David Canary also appeared frequently on stage, in such productions as The Fantastics, Kismet, Macbeth, The Man of La Mancha, and The Seagull. For many, perhaps most, people David Canary will always be Candy Canaday on Bonanza. He was perfectly cast as the gutsy and confidant ranch foreman. As a member of the cast of Bonanza David Canary fit in so well that it was hard to believe that he was not one of the Cartwright family. Indeed, besides Hoss, Little Joe, and Ben Cartwright themselves, he might be the most popular character on the show (possibly more popular even than Adam Cartwright). Of course, David Canary played many other roles besides Candy, some of them as far removed from the brave ranch foreman as possible. He played gangster Frank Gusenberg in The St. Valentine's Day Massacre. Reportedly one of his two characters on All My Children (he played twins) was the ruthless businessman Adam Chandler. Although perhaps best known for playing a Western hero, David Canary was perfectly capable of playing villains. He was quite versatile. Rex Reason, who starred in the TV shows Man Without a Gun and The Roaring 20's, as well as the classic sci-fi movie This Island Earth, died on November 19 2016 at the age of 86. Rex Reason was born on November 30 1928 in Berlin, Germany, where his family was on a business trip. He grew up in Los Angeles. His brother Rhodes Reason, who would also become an actor, was born two years later. He attended Hoover High School in Glendale, California. He enlisted in the United States Army when he was 17 years old. Following his stint in the Army, Rex Reason studied acting at the Pasadena Playhouse. Mr. Reason had an uncredited role in Scaramouche (1952) before playing the lead role in Storm Over Tibet (1952). He appeared in the films Mission Over Korea (1953) and China Venture (1953) before signing with Universal. Universal insisted on billing him as "Bart Roberts" in the films Taza, Son of Cochise (1954) and Yankee Pasha (1954) before he demanded to use his given name. During the Fifties he went onto appear in such films as Smoke Signal (1955), This Island Earth (1955), Lady Godiva of Coventry (1955), The Creature Walks Among Us (1956). Badlands of Montana (1957), and The Rawhide Trail (1958). Rex Reason made his television debut in an episode of Schlitz Playhouse. He starred in the TV series Man Without a Gun for two seasons before starring in The Roaring 20's for a single season. In the Fifties he appeared on such shows as Lux Video Theatre, Matinee Theatre, The Millionaire, Tales of the 77th Bengal Lancers, The Ford Television Theatre, Conflict, The Web, 77 Sunset Strip, Bronco, Bourbon Street Beat, and The Alaskans. In the Sixties Rex Reason guest starred on the shows Perry Mason, G.E. True, and Wagon Train. Afterwards he quit acting to go into real estate. In many way Rex Reason was ideal for playing all-American heroic leads in the Fifties. Between his good looks and a distinct baritone voice he could be very convincing as a jet pilot, the editor of a newspaper in the Old West, or a reporter in the 1920s. Had he not ended his career when he did, it seems likely that he could have played the lead in yet another series (dark haired leading men being popular for action shows of the Sixties). As it is he left us with some memorable roles, particularly Dr. Cal Meacham in This Island Earth. Keith Michell, who played Henry VIII in the mini-series The Six Wives of Henry VIII, died on November 20 2015 at the age of 88. Keith Michell was born on December 1 1926 in Adelaide, South Australia. He grew up in Warnertown, South Australia. He attended Port Pirie High School, Adelaide Teacher’s College, Adelaide School of Arts and Crafts, and Adelaide University. Mr. Michell was working as an art teacher in Adelaide when he made his stage debut in the play Lover's Leap at the Playbox Theatre there. In 1949 he went to work for ABC Radio (the Australian Broadcasting Corporation) for a brief time before moving to London to study at the Old Vic Theatre. He spent a year with the Young Vic Company. During that time he played played Bassanio in The Merchant of Venice and Ellis Duckworth in an adaptation of Robert Louis Stevenson’s The Black Arrow. The Black Arrow was shot by the BBC and so it also marked his television debut when it was aired in 1951. That same year he made his debut on the West End in musical And So To Bed at the New Theatre, playing King Charles II. In the Fifties Keith Michell toured Australia with Anthony Quayle’s Shakespeare Memorial Theatre Company. He spent time with the Royal Shakespeare Company and appeared in Don Juan and the Death of Satan. He went back to the Old Vic where he appeared in productions of Much Ado About Nothing, Titus Andronicus, and Antony and Cleopatra. He appeared in Irma La Douce both in the West End and on Broadway. On television he appeared on the shows BBC Sunday-Night Theatre, Armchair Theatre, and Dow Hour of Great Mysteries. 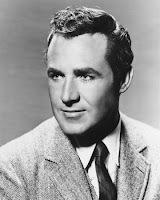 He appeared in the films True as a Turtle (1957), Dangerous Exile (1957), and The Gypsy and the Gentleman (1958). In the Sixties he appeared on stage in The Chances, Man of La Mancha, and Robert And Elizabeth. He appeared on television on the shows BBC Sunday-Night Play, The Spread of the Eagle, Festival, Theatre 625, Hallmark Hall of Fame, ITV Play of the Week, Love Story, and BBC Play of the Month, as well as productions of Wuthering Heights and Robert and Elizabeth. In 1970 he starred as Henry VIII in The Six Wives of Henry VIII. He appeared in the films The Hellfire Club (1961), All Night Long (1962), Il dominatore dei 7 mari (1962), Prudence and the Pill (1968), and The Executioner (1970). 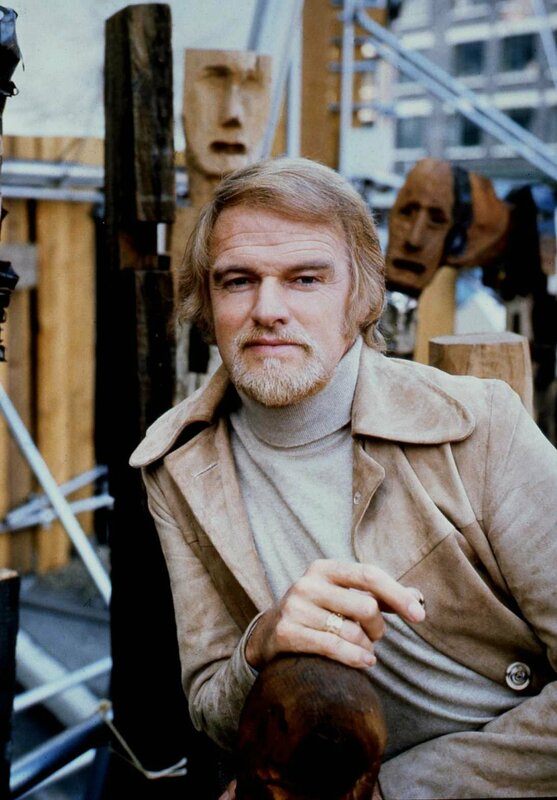 In the Seventies Keith Michell was the artistic director of the Chichester Festival Theatre from 1974 to 1977. While there he appeared in productions of Oedipus Tyrannus; A Month in the Country; and Tonight, We Improvise. Afterwards he appeared on stage in Othello. He appeared on television on Elizabeth R, BBC Show of the Week, and Late Night Theatre, as well as the productions The Story of Jacob and Joseph, The Story of David, Julius Caesar, and The Day Christ Died. He appeared in the film Moments (1974). In the Eighties he appeared as Sallieri in Amadeus on stage. He played Captain Cook in the mini-series Captain James Cook. He also had a recurring role on Murder, She Wrote as jewel thief turned insurance investigator Dennis Stanton. He appeared in such TV movies as Ruddigore, The Gondoliers, The Pirates of Penzance, Memorial Day, and The Miracle, as well as the mini-series My Brother Tom. He appeared in the film The Deceivers (1988). In 1991 he made his last appearance on stage, appearing in Henry VIII. He appeared in the two-part TV movie The Prince and the Pauper in the Nineties, and in the film Love/Loss (2010). Keith Michell was a phenomenally talented actor. He gave an astounding performance in The Six Wives of Henry VIII, playing Henry VIII through several years of his life. In fact, he did so well that he was often called upon to play Henry VIII several more times throughout this career. Of course, Keith Michell was a versatile actor and was capable of playing much more than Henry VIII. Indeed, he seemed to have a gift for playing historical figures. He played figures from history as diverse as Robert Browning, Pontius Pilate, and Captain James Cook. He also played a number of famous characters from drama and literature throughout the years, including Prof. Henry Higgins in Pygmalion, Heathcliff in Wuthering Heights, Caliban in The Tempest, and Major General Stanley in The Pirates of Penzance. He was a versatile actor who was always guaranteed to give a good performance, whether it was in a horror film like The Hellfire Club or a production of Shakespeare's Julius Caesar.